Check out the newest copy of the League Lines newsletter. It’s hot off the presses and in the mail to our sustaining members! If you are a sustaining member and didn’t receive one, please contact us now to get on our mailing list! 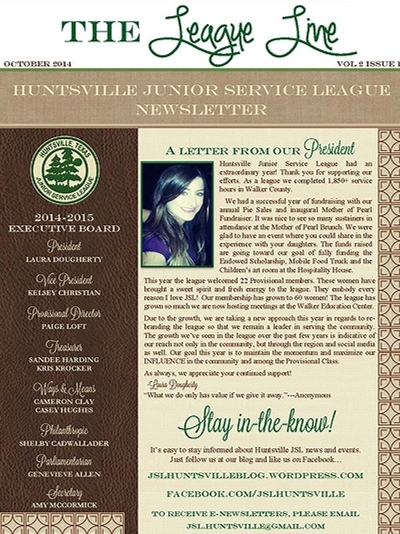 You do not want to miss out on keeping up with all the exciting happenings in the Huntsville Junior Service League!